Steel Blue work boots today. 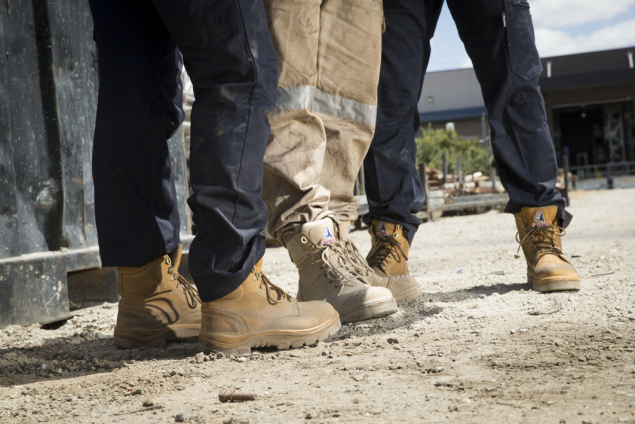 Experience the difference of Australia’s leading safety boot brand for yourself. Complete the form below to arrange your free trial pair of Steel Blue boots and personalised fitting. For further information, please contact UK Sales Manager, John Cooper at John.Cooper@steelblue.com or +44 114 321 6433. *Terms & Conditions apply. Offer available to Truflame Newsletter subscribers. Limit of one trial pair per email recipient. Please contact Steel Blue at Marketing@SteelBlue.com for further details. Try the comfort of Steel Blue today. Complete your details below to arrange your free trial pair of Steel Blue boots and personalised fitting.